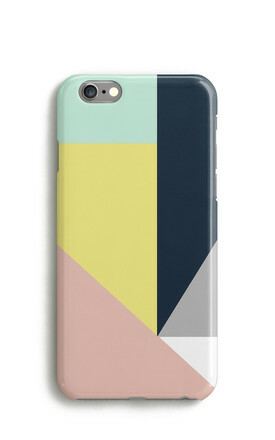 Geometric colour (color) block mobile phone case. Our cases are printed using dye sublimation which locks the print in to the plastic of the case. It does not fade, peel or wear away and will last throughout the whole life of the case. These are clip on cases and clip to the back of the handset, and allow full access to all ports and camera.